‘For the first time ever, in 2010 the majority of the world’s population lived in a city, and this proportion continues to grow. One hundred years ago, 2 out of every 10 people lived in an urban area. By 1990, less than 40% of the global population lived in a city, but as of 2010, more than half of all people live in an urban area. By 2030, 6 out of every 10 people will live in a city, and by 2050, this proportion will increase to 7 out of 10 people’ (World Health Organization). Growth in productivity of agriculture is now even more important to food security of a growing urban population which will always need agricultural products in one form or another, delivered conveniently to their doorstep at a competitive price and with acceptable quality. International competitiveness, productivity improvement, innovation and investment are recurring themes in modern agriculture. Climate change and food security are now just part of the background. Most policy responses deal in various degrees of emphasis with the regulatory environment; education and training; technology and innovation; value chain efficiency; market efficiency; taxation incentives; and various cross-cutting issues, including sustainable development. One of the biggest challenges in agricultural management and policy development is designing a framework that supports and encourages development of innovative and resilient value chains. This framework needs, among other things, to be robust and capable of dealing with today’s rapidly changing climatic, technological and economic environment. New technology in agriculture (biotechnology, precision farming, digital transformation etc) are now key components of viability and future international competitiveness. An effective framework also needs to recognize the adjustment capacity of the farm and agricultural sector and whether or not the incentive system and market structures and prices are working as efficiently and effective as they are in competing environments. What can we do to enhance agricultural sector performance in your country, industries and/or business? ● Review of whole agricultural operations, sector or sub-sector. ● Identification of benchmark performance indicators to enhance productivity and profitability. ● Identification of binding constraints to improved performance. ● Examination of investment incentives for agriculture at a national or regional level. ● Assess the level of technological development, innovation & adoption of new technologies. ● Examine value chain efficiency. ● Assess partnerships for improved agricultural sector performance. ● Prepare an agricultural risk management framework to enhance resilience. ● Helped prepare National Development Plans for developing and less developed countries with focus on improved agricultural sector performance. 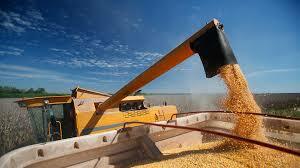 ● Examined cross-country, time series of capital investment in agricultural. ● Undertaken work for World Bank and UNDP to improve agricultural sector performance in Central Asia.